Interactive effects of amphetamine sulfate and ketamine hydrochloride on the mean scores of the 5 empirically derived factors of the Positive and Negative Syndrome Scale (described in the “Methods” section): the positive symptom factor (A), the negative symptom factor (B), the cognitive symptom factor (C), the emotional discomfort factor (D), and the hostility factor (E). The time of 0 minutes in each graph reflects the timing of the initiation of the ketamine bolus. KA indicates ketamine-amphetamine; KP, ketamine-placebo; PA, placebo-amphetamine; and PP, placebo-placebo. Error bars represent SEM. Interactive effects of amphetamine sulfate and ketamine hydrochloride on mean scores of 6 positive symptom items from the Positive and Negative Syndrome Scale (as described in the “Methods” section): delusions (A), grandiosity (B), hallucinatory behavior (C), somatic concern (D), suspiciousness (E), and unusual thought content (F). The time of 0 minutes in each graph reflects the timing of the initiation of the ketamine bolus. KA indicates ketamine-amphetamine; KP, ketamine-placebo; PA, placebo-amphetamine; and PP, placebo-placebo. Error bars represent SEM. Interactive effects of amphetamine sulfate and ketamine hydrochloride on mean visual analog scale (VAS) euphoria (A) and drowsiness (B) scores. KA indicates ketamine-amphetamine; KP, ketamine-placebo; PA, placebo-amphetamine; and PP, placebo-placebo. Error bars represent SEM. Interactive effects of ketamine hydrochloride and amphetamine sulfate on mean performance on the Hopkins Verbal Learning Test. KA indicates ketamine-amphetamine; KP, ketamine-placebo; PA, placebo-amphetamine; and PP, placebo-placebo. Error bars represent SEM. Interactive effects of ketamine and amphetamine on mean systolic blood pressure when ketamine hydrochloride was administered before amphetamine sulfate (A) and when amphetamine was given before ketamine (B). KA indicates ketamine-amphetamine; KP, ketamine-placebo; PA, placebo-amphetamine; and PP, placebo-placebo. Error bars represent SEM. Interactive effects of ketamine hydrochloride and amphetamine sulfate on the mean plasma levels of each drug. A, Ketamine plasma levels. Because timing in this study was synchronized to the initiation of ketamine administration, both orders of drug infusion begin at 0 minutes. B, Amphetamine plasma levels. In this case, plasma amphetamine level sampling in the 2 infusion orders do not overlap and can be seen separately in this figure. KA indicates ketamine-amphetamine; and KP, ketamine-placebo. Error bars represent SEM. Background In healthy individuals, ketamine hydrochloride and amphetamine sulfate produce cognitive, behavioral, and subjective effects resembling endogenous psychoses. Studying the comparative and interactive effects of these agents may provide insights into the roles of the glutamate and monoamine systems in psychosis and cognition. Objectives To directly compare the effects of ketamine and amphetamine and to explore their interactive effects within individuals. Design Placebo-controlled, randomized, double-blind psychopharmacologic trial. Setting and Participants Forty-one healthy individuals recruited from the community who completed up to 4 test days. Main Outcome Measures On each test day, participants received amphetamine (a 1-minute infusion of amphetamine sulfate, 0.25 mg/kg, or saline) and ketamine (a 1-minute intravenous infusion of ketamine, 0.23 mg/kg, followed by a 1-hour infusion of 0.5 mg/kg or an identical saline bolus and infusion). The order of amphetamine and ketamine infusions was randomized. Results At the doses studied, ketamine and amphetamine produced positive symptoms and euphoria. However, perceptual changes were produced only by ketamine, and hostility, grandiosity, and somatic concern were stimulated only by amphetamine. Amphetamine and ketamine produced conceptual disorganization, but only ketamine produced concrete ideation and unusual mannerisms. Ketamine produced negative symptoms and disrupted delayed recall. Ketamine and amphetamine showed 3 types of interactive effects: (1) amphetamine attenuated the impairment of working memory produced by ketamine; (2) amphetamine and ketamine had additive effects on thought disorder, arousal, and euphoria; and (3) amphetamine and ketamine had less-than-additive effects on psychosis. Conclusions These findings implicate N-methyl-D-aspartate glutamate receptors and dopamine systems in psychosis. However, glutamate and dopamine may differentially contribute to psychosis, thought disorder, and euphoria. Regarding medication development for cognitive dysfunction, the pattern of the interactive effects of ketamine and amphetamine is consistent with the hypothesis that facilitation of prefrontal cortical dopamine levels would attenuate some cognitive impairments associated with deficits in N-methyl-D-aspartate receptor function. Dysfunction in the glutamatergic and dopaminergic systems contributes to the pathogenesis and treatment of psychotic and addictive disorders.1-11 However, in vivo human data that describe the interplay of agents acting on the glutamate and dopamine systems are limited.12,13 Also, differences between the psychotic states produced by psychostimulants and N-methyl-D-aspartate (NMDA) receptor antagonists have been discussed in the absence of direct comparisons of these states.14 Amphetamine sulfate produces a transient psychotic state in healthy individuals dominated by positive symptoms and thought disorder.15-20 In contrast, phencyclidine hydrochloride and ketamine hydrochloride evoke positive, disorganized, negative, and cognitive symptoms that resemble schizophrenia.21-26 Findings from a retrospective study27 that compared the clinical presentations of cocaine abusers, phencyclidine abusers, and patients diagnosed as having schizophreniasupport the hypothesis that amphetamine abuse is associated with paranoia and phencyclidine abuse is associated with bizarre delusions and altered sensory experiences. This study directly compares the effects of ketamine and amphetamine within healthy individuals. In addition, it evaluates the interactive effects of these drugs. This study used a relatively high dose of amphetamine, in the range that worsened psychosis in patients diagnosed as having schizophrenia.28,29 As a result, a relatively low subanesthetic dose of ketamine was used to minimize the cardiovascular risk to the research participants. 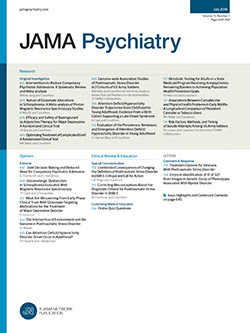 In addition, this study randomized the order of ketamine and amphetamine infusion to explore the possibility that amphetamine-stimulated glutamate release30,31 or ketamine effects on dopaminergic activity32 might affect study outcome measures in a manner that might depend on the order in which these drugs were administered. This study was approved by the human subjects subcommittee of the VA Connecticut Healthcare System and by the Yale Human Investigations Committee (New Haven). Participants were recruited via public advertisements, and they were paid for their participation. Individuals were healthy by physical examination, history, electrocardiography, and laboratory testing. They had no personal history of or first-degree relative with a history of psychiatric illness or substance abuse disorder, no history of psychotherapy, no history of extended (>6 months) unemployment, and no major family or occupational disruption in the month before screening. Screening procedures included the Structured Clinical Interview for DSM-IV, Non-patient Edition33 and tests of latent psychosis.34-36 An outside informant was interviewed to confirm information provided by the individual. Participants were instructed to abstain from psychoactive substances for 4 weeks before the study. Urine toxicology tests were performed at screening and on each test day. Written informed consent was obtained from 67 individuals before enrollment. Twenty-six individuals who signed consent forms were excluded or withdrew before testing. Forty-one individuals completed at least 1 test day (5 individuals were recruited to complete a single test day in a pilot phase of the study). Of the 41 individuals, 37 (90%) were nonsmokers and 3 (7%) smoked 1 to 2 cigarettes per week; smoking data were not available for 1 participant (2%). Also, 20 participants (49%) had never ingested an illicit drug of abuse. Eighteen participants (44%) had ingested marijuana in the past, 1 (2%) had ingested marijuana and cocaine, and 1 (2%) had tried marijuana and D-lysergic acid diethylamide; data were not available for 1 participant (2%). There were no significant effects of previous drug exposure on reported outcome measures. Nine of the 36 participants scheduled for 4 test days did not complete testing. Twenty-seven participants (16 men [mean (SD) age, 33 (8.9) years ] and 11 women [mean (SD) age, 28 (5.2) years]; 18 whites, 4 African Americans, 2 Asians, and 3 other races) completed 4 test days separated by a minimum of 3 days in approximately 4 weeks. The reasons for discontinuation were unpleasant perceptual effects of ketamine (n = 1); nausea and insomnia after taking the ketamine-amphetamine combination (n = 1); hypertension or premature atrial or ventricular contractions after the administration of ketamine and amphetamine (n=2); anxiety, diaphoresis, or dizziness during amphetamine infusion (n=3); and scheduling difficulties (n=2). Follow-up revealed that all adverse effects from testing resolved spontaneously without late-appearing clinical complications, as in other ketamine studies.37 Each study discontinuation was reported to the Veterans Affairs human subjects subcommittee. This study is a placebo-controlled, randomized, double-blind, psychopharmacologic trial. On each test day, each participant received amphetamine (a 1-minute infusion of amphetamine sulfate, 0.25 mg/kg, followed by a slow saline infusion or a saline bolus and infusion) and ketamine (a 1-minute intravenous infusion that contained ketamine, 0.23 mg/kg, followed by a 1-hour infusion of 0.5 mg/kg or an identical saline bolus and infusion). The order of amphetamine and ketamine infusion was randomized across participants. The group randomized to receive amphetamine first (14 study completers) underwent the following test days: amphetamine followed by ketamine, placebo amphetamine (saline) followed by ketamine, amphetamine followed by placebo ketamine, and placebo amphetamine followed by placebo ketamine. The group randomized to receive ketamine first (13 study completers) was exposed to the following test days: ketamine followed by amphetamine, placebo ketamine (saline) followed by amphetamine, ketamine followed by placebo amphetamine, and placebo ketamine followed by placebo amphetamine. Except as noted in the “Results” section, the order of ketamine and amphetamine infusion did not affect the results. Cognitive functions were also evaluated in this study. A continuous performance test was administered within 5 minutes of completion of the intravenous infusions to assess distractibility.40 Immediate and delayed recall were assessed using the Hopkins Verbal Learning Test (HVLT), a memory test with 6 equivalent versions.41 Amphetamine and ketamine levels were measured 30 and 60 minutes after the start of the ketamine infusion. Amphetamine and methamphetamine were quantitated as their N-heptafluorobutyryl derivatives via gas chromatography−mass spectrometry using a capillary column with the mass spectrometer, with simultaneous ion monitoring in the negative chemical ionization mode and reactant gas methane/ammonia (95:5). The method was essentially the same as that described previously,42 with the following modifications. A 30-m DB-17 capillary column was substituted to improve separation and peak symmetry. Trideuterated amphetamine was used as the internal standard. Standard curves for both compounds were uniformly linear (r = 0.999+) across the range tested (0.1-500 ng/mL), with negligible intercepts. Sensitivity was less than 0.1 ng/mL for each when l mL of plasma was extracted. Interassay relative standard deviation was 5.2% at 5 ng/mL. Plasma ketamine and norketamine were assayed using a validated liquid chromatography procedure with UV detection. After the addition of 500 ng of internal standard (2-phenylmorpholinol, BW306U), ketamine and the metabolite norketamine were extracted from 1 mL of plasma and were made alkaline using 0.5M sodium hydroxide, with 5.0 mL of 1.5% isoamyl alcohol in n-heptane. The organic extract was back-extracted using 0.25 mL of 0.01M hydrochloride and was transferred to inserts for injection on liquid chromatography. Chromatography was carried out using a trimethylsilyl bonded silica column (LC-1; Supelco, Sigma-Aldrich Co, Bellefonte, Pa) with a mobile phase consisting of 85% phosphate buffer and 15% acetonitrile, adjusted to pH 2.4 using phosphoric acid, triethylamine, and heptane sulfonate. At a flow rate of 2.0 mL/min, ketamine, norketamine, and the internal standard were separated and detected at a UV wavelength of 210 nm in less than 12 minutes. The within-day coefficient of variation of ketamine and norketamine did not exceed 10.6% (range, 25-2000 ng/mL; 12 samples studied at each of 7 ketamine/norketamine concentrations). Day-to-day variation of ketamine and norketamine quality controls at 1250, 250, and 50 ng/mL did not exceed 5.6% and 5.8%, respectively (n=20 days). The minimum quantifiable limits were set at 10 ng/mL for ketamine and norketamine. Data were checked for normality before analysis. The PANSS total score, the 5 PANSS subscale scores (positive, negative, cognitive, emotional, and hostility), the delayed recall score on the HLVT, and the VAS data (euphoria and drowsiness) exhibited floor effects and positive skewness. These outcome measures were analyzed using a nonparametric approach for repeated-measures data.43 For the PANSS and the VAS, the overall analysis model included the between-participant factor of order of ketamine and amphetamine administration (ketamine first vs amphetamine first) and the within-participant factors of (1) ketamine (active and placebo), (2) amphetamine (active and placebo), and (3) time (baseline and 1 minute, 60 minutes, and 120 minutes after infusion). Participant was used as the clustering factor. The analysis was performed by rank-transforming the data, then fitting a mixed-effects model with an unstructured variance-covariance matrix using PROC MIXED in SAS (SAS Institute Inc, Cary, NC), and finally adjusting the P values for the analysis of variance–type statistics (ATS) as outlined by Brunner et al.43 For all outcome measures, the order main effect and all its interactions with other factors in the model were not significant and hence were dropped from the models. If the 3-way interaction among ketamine, amphetamine, and time was significant, contrasts for testing interactions between ketamine and amphetamine were performed at each point. For the points where significant interactions were observed, the simple effects of ketamine and amphetamine were tested to determine the nature of the interaction. Bonferroni corrections were applied for multiple analyses within but not across domains. Throughout this article, we report Bonferroni-adjusted P values. A" measures were defined for the distractibility task. Owing to the skewness of the data, they were also analyzed using the nonparametric approach described previously herein, with order as the between-participant factor and ketamine and amphetamine as within-participant factors. On the HVLT, delayed recall scores were analyzed using a nonparametric approach, with and without the last immediate recall measure as a covariate. Immediate recall scores on the HVLT and vital signs data were approximately normally distributed and hence were analyzed using linear mixed models, with ketamine and amphetamine as within-participant factors and a nested variance structure.44 Simple effects were tested to illustrate significant interactions. The magnitude of the combined effects of ketamine and amphetamine was significantly less than that of the effects of each drug administered separately. The 3-way interaction among ketamine, amphetamine, and time was significant (ATS2.41 = 9.54; P<.001). Post hoc testing found that the interaction between amphetamine and ketamine was significant at 1 minute (ATS1=22.77) and at 60 minutes (ATS1=15.18) (P<.001 for both). Post hoc testing revealed that ketamine significantly increased PANSS total scores regardless of whether it was administered with placebo (1 minute: ATS1=67.59 and 60 minutes: ATS1=80.23; P<.001 for both) or amphetamine (1 minute: ATS1=8.31; P=.03 and 60 minutes: ATS1=12.69; P<.001). However, amphetamine increased PANSS total scores significantly relative to placebo when administered with placebo (1 minute: ATS1=35.7 and 60 minutes: ATS1=30.04; P<.001 for both), but amphetamine did not increase PANSS total score when administered with ketamine relative to the effects of ketamine at the 1-minute (P>.99) and 60-minute (P = .40) time points. The results for the psychosis factor were similar to those for the total PANSS in that amphetamine and ketamine produced psychotic symptoms, but the combination of both drugs produced interactive effects that were significantly less than additive. There was a significant ketamine × amphetamine × time interaction (ATS2.32=6.96; Bonferroni-corrected P=.002). At 1 minute and at 60 minutes, the interaction between ketamine and amphetamine was significant (ATS1=9.94; P=.03 and ATS1=15.21; P<.002, respectively) (Figure 1A). Ketamine significantly increased positive symptoms over the placebo-placebo combination (1 minute: ATS1=27.44 and 60 minutes: ATS1=40.72; P<.002 for both), but the combination of ketamine and amphetamine was not significantly different from amphetamine (corrected P>.99). Similarly, at both points amphetamine significantly increased positive symptoms (1 minute: ATS1=25.64 and 60 minutes: ATS1=29.13; P<.002 for both), but the combination of amphetamine and ketamine was not significantly different from ketamine alone (corrected P>.99). Amphetamine and ketamine produced different profiles of psychotic symptoms (Figure 2). Individual items were explored separately, using corrections for multiple comparisons. Amphetamine, but not ketamine, significantly increased grandiosity (amphetamine × time interaction: ATS2.25=7.58; P=.002). In contrast, ketamine, but not amphetamine, produced delusions (ketamine × time interaction: ATS1.72=5.25; P=.047). Somatic concern was produced by ketamine and amphetamine in a less-than-additive manner (ketamine × amphetamine × time interaction: ATS2.31=4.82; P=.03). In contrast, hallucinatory behavior was produced by ketamine and amphetamine in an additive manner (ketamine × time interaction: ATS1.84=32.61; P<.001 and amphetamine × time interaction: ATS1.94=5.35; P=.03). Ketamine substantially increased negative symptom factor scores, whereas amphetamine did not produce significant main or interactive effects (Figure 1B). The ketamine × time interaction was significant (ATS2.29=51.19; P<.001). The post hoc test results for blunted affect, emotional withdrawal, and motor retardation mirrored the overall negative symptom factor analysis findings, with significant time-related ketamine (P<.001) but not amphetamine effects. Ketamine (ATS2.43=29.81; P<.001) and amphetamine (ATS2.34=5.33; P=.003) increased lack of spontaneity. Ketamine and amphetamine seemed to have additive effects on this factor in that each drug had significant effects, but there was no significant interaction between these drugs (Figure 1C). There was a significant ketamine × time interaction (ATS2.25=34.76; P<.001) and a significant amphetamine × time interaction (ATS1.54=8.72; P=.003) but not a significant ketamine × amphetamine × time interaction. Ketamine at 1 minute (ATS1=36.87; P<.002) and at 60 minutes (ATS1=74.92; P<.002) and amphetamine at 60 minutes (ATS1=10.79; P=.02) increased cognitive symptom factor scores, although there was no significant interaction between the effects of these drugs. Post hoc analyses revealed that ketamine had effects on several dimensions of thought disorder, whereas amphetamine produced only conceptual disorganization. Significant ketamine × time interaction effects were found for conceptual disorganization (ATS1.73=38.00; P<.001), difficulties in abstract thinking (ATS2.12=14.50; P<.001), mannerisms (ATS1.82=20.74; P<.001), and poor attention (ATS1.85=6.37; P=.01). Significant amphetamine × time interactions were observed for conceptual disorganization (ATS1.64=9.93; P=.007). No significant drug-related effects were observed for the stereotyped thinking, lack of judgment, or tension items. Ketamine and amphetamine showed significantly less-than-additive interactive effects (ketamine × amphetamine × time interaction: ATS2.67=9.09; P<.001) (Figure 1D). Ketamine and amphetamine interacted significantly at 1 minute (ATS1=21.47; P<.002) but not at 60 minutes (ATS1=8.95; P=.06). Ketamine significantly increased dysphoria relative to placebo at 1 minute and at 60 minutes (ATS1=26.74 and ATS1=17.24, respectively; P<.004 for both), but ketamine in combination with amphetamine was not different from amphetamine (P = .50). Similarly, amphetamine significantly increased emotional symptoms at 1 minute and at 60 minutes (ATS1=13.09; P=.01 and ATS1=20.59; P=.004, respectively), but the ketamine-amphetamine combination was not different from ketamine alone (P>.99). Anxiety was the only symptom of this factor that was increased by amphetamine (ATS2.36=4.42; P=.01). Amphetamine (amphetamine × time interaction:ATS1.86=23.64; P<.005), but not ketamine, elevated hostility factor scores (Figure 1E). However, this finding reflected a significant amphetamine effect on the excitement item (ATS2.02=19.50; P<.001) but no significant effects on hostility, impulse control, or uncooperativeness. There was a significant ketamine × amphetamine × time interaction for euphoria (ATS2.16=7.12; P=.002) (Figure 3A). Whereas amphetamine significantly increased self-rated euphoria relative to placebo (1 minute: ATS1=31.94 and 60 minutes: ATS1=21.33; P<.003 for both), the combination of ketamine and amphetamine was not significantly greater than ketamine. In contrast, ketamine increased euphoria relative to placebo (1 minute: ATS1=40.98 and 60 minutes: ATS1=17.26; P<.003 for both) and amphetamine (1 minute: ATS1=13.39; P = .01 and 60 minutes: ATS1=48.17; P<.003). The stimulant effects of amphetamine seemed to reduce the sedative effects of ketamine in an additive manner. The amphetamine × time (ATS2.74=7.92; P<.001) and the ketamine × time (ATS2.27=6.91; P=.002) interactions were significant, although there was no significant interaction between the effects of these drugs (Figure 3B). The analysis of A′ score revealed a significant ketamine effect (ATS1=12.0; P<.001) but not a significant amphetamine effect or a significant interaction of ketamine and amphetamine. Analysis of the immediate recall data indicated that amphetamine attenuated immediate recall relative to placebo administration but that the combination of ketamine and amphetamine improved performance relative to ketamine (Figure 4). The effects of ketamine (F1,81.9=57.6; P<.001), the number of list repetitions (F2,224=196.0; P<.001), and the interaction of ketamine and repetition effects (F2,224=7.2; P=.002) were significant. Whereas the main effect of amphetamine was not significant, the interactive effects of amphetamine and ketamine achieved significance (F1,80.8=5.71; P=.04). Ketamine and amphetamine seemed to impair delayed recall. There was a highly significant interaction of ketamine and amphetamine effects on delayed recall scores (ATS1=15.73; P<.001) (Figure 4). Post hoc test results indicated that the combination of ketamine and amphetamine impaired delayed recall relative to amphetamine (t21.6=−4.09; P=.004) but not ketamine (t20.4=0.51; P=.62). Ketamine (t23.0=−6.89; P<.001) and amphetamine (t23.4=−3.15; P=.03) impaired delayed recall relative to saline. Ketamine had effects on immediate and delayed recall. However, secondary analyses suggested that the amphetamine effect on delayed recall was accounted for by its disruptive effect on immediate recall. Covarying for the level of encoding into working memory, that is, the third repetition of immediate recall (the recall score for the third immediate recall trial), ketamine (ATS1=32.11; P<.001), but not amphetamine (ATS1=0.29; P=.59), reduced delayed recall scores. There were no significant interactions between these medications on this outcome measure (Figure 4). The results of this analysis suggested that ketamine had an effect on delayed recall independent of its effect on immediate recall. However, the apparent impact of amphetamine on delayed recall reflected an artifact of its disruption of immediate recall. The 2 sequences were analyzed separately owing to the differing points with respect to drug infusion between these orders (Figure 5). When amphetamine was administered first, only the amphetamine × time interaction was significant (F17,773=10.0; P<.001). However, when ketamine was administered first, the ketamine × time interaction (F16,817=2.4; P=.006), the amphetamine × time interaction (F16,817=18.1; P<.001), and the ketamine × amphetamine × time interaction (F16,817=2.1; P=.02) were significant. Amphetamine was administered as a bolus, and ketamine was administered as a bolus followed by a constitution. Consistent with this pattern, amphetamine produced blood pressure increases that were more pronounced, but briefer, than ketamine. There was no significant interaction of the pressor effects of these drugs. The 2 sequences were analyzed separately owing to the differing points with respect to drug infusion between these orders. The ketamine × time and amphetamine × time interactions were significant for both orders of drug infusion (P<.03). There were no significant drug effects on pulse rate. There was no main effect of amphetamine infusion on ketamine plasma levels (F1,14.9=0.44; P=.5) or interaction between amphetamine and infusion order effects (F1,14.9=0.31; P=.6) (Figure 6). However, there was a significant interaction among amphetamine, order, and time effects (F1,32.2=5.24; P=.03). In addition to the time effect (F1,32.2=41.91; P<.001), post hoc test results indicated that this 3-way interaction reflected a nonsignificant trend toward lower plasma ketamine levels at 60 minutes in the group that received amphetamine before ketamine (F1,7.71=5.72; P=.08) relative to the group that received ketamine before amphetamine. Ketamine infusion did not significantly alter amphetamine plasma levels. There were significant effects of time (F1,41.2=9.38; P=.004), order of drug infusion (F1,25.9=9.22; P=.005), and the interaction of order and time (F1,41.2=16.33; P<.001). This analysis is consistent with the bolus infusion of amphetamine and the different intervals between bolus infusion and plasma sampling when amphetamine was administered before or after ketamine (Figure 5). The present study sheds new light on the comparative and interactive effects of ketamine and amphetamine and, by implication, on the functions and interactions of NMDA glutamate receptor and monoaminergic systems in the human brain. Ketamine and amphetamine produced transient psychotic symptoms in healthy individuals. However, the positive symptoms produced by each drug could be distinguished within individuals. Also, the combination of ketamine and amphetamine produced positive symptoms that were, overall, less severe than the sum of the effects of each drug administered individually. In contrast, ketamine and amphetamine produced additive effects on euphoria and thought disorder. In addition, amphetamine attenuated the disruption of working memory produced by ketamine, as reflected by immediate recall scores on the HVLT. Also, the order of ketamine and amphetamine infusion did not alter their interactive effects. The symptom profiles produced by ketamine and amphetamine within participants were consistent with the symptom profiles in studies15-20,22,23,25,26,45 in which each drug was assessed individually. Ketamine produced perceptual changes and delusions, negative symptoms, several aspects of thought disorder, and impairments in the executive control of attention, working memory, and declarative memory. In contrast, amphetamine stimulated positive symptoms related to thought content (somatic concerns, grandiosity, and suspiciousness), thought disorder, and psychomotor activation. However, it did not produce perceptual changes, negative symptoms, or prominent cognitive impairments. Amphetamine and ketamine produced euphoria and emotional distress, predominantly tension or anxiety. However, the amphetamine euphoria was associated with psychomotor activation and hostility, whereas that of ketamine was associated with sedation. This distinction may be relevant to the behavioral effects of alcohol, where dopamine may contribute to the stimulant-related “high” associated with the ascending blood alcohol levels, and blockade of NMDA receptors may contribute to the sedative effects associated with high levels of alcohol consumption and descending blood alcohol levels.46,47 In summary, the present data suggest that despite some overlap, ketamine and amphetamine produce distinct profiles of cognitive and behavioral effects. Consistent with a previous study,61 there was no evidence that the combination of NMDA receptor blockade and dopamine release resulted in supra-additive or even fully additive psychotic effects. Thus, this study did not suggest that endogenous psychoses are better modeled by the combination of ketamine and amphetamine than by either drug alone. Instead, the combined effects of these drugs were substantially less than their separate effects added together, that is, ketamine substantially increased positive symptom levels when administered in combination with saline but not with amphetamine. Amphetamine increased positive symptom levels when administered with saline but not with ketamine. It is not yet clear why ketamine and amphetamine had less-than-additive interactive effects. It might be explained by a common psychotogenic mechanism, perhaps convergent effects on dopamine release,62 dopamine D2 receptors,63 or signal transduction pathways,64 resulting in a ceiling effect when the drugs were administered together. However, a common mechanism might lead one to predict that ketamine and amphetamine would produce a common profile of psychotic symptoms, and this did not seem to be the case in the present study. Also, a ceiling effect on psychosis seems unlikely because previous studies65-67 that administered higher ketamine doses produced higher levels of positive symptoms than were found herein. Also, a common dopaminergic mechanism might be inconsistent with the lack of effects of dopamine D⅔ receptor antagonists on the ketamine psychosis.28,66,68 Alternatively, it is possible that amphetamine and ketamine antagonized some effects of the other drug.69,70 However, mutual antagonism was not evident in the analyses of individual items. Further research is needed to clarify this pattern of interaction. There were several outcome measures where one of the medications did not produce an effect by itself and did not modify the effect of the other agent. The present study further dissociated the sedative effects of ketamine and its effects on negative symptoms. For example, amphetamine reduced the sedative effects but not the negative symptoms produced by ketamine. The absence of an amphetamine modulation of the negative symptoms produced by ketamine is consistent with the absence of haloperidol pretreatment effects on this outcome measure.66 Alternatively, ketamine did not produce hostility and did not modify the amphetamine effect on hostility. Methodological limitations in the present study may have affected the findings. First, the demanding nature of the study design on research participants necessitated a restriction of this study to a single dose of ketamine and amphetamine. The findings of this study may not fully generalize to the interactions of other doses of ketamine and amphetamine. Second, to mirror previous studies of amphetamine effects on dopamine release,28,29 amphetamine was administered as a bolus. Thus, amphetamine plasma levels changed across time during the study. Although statistical analysis steps were taken to try to address its impact, some variance in amphetamine levels was introduced in comparing the 2 drug infusion orders. In conclusion, this study contributes to the effort to better understand the interplay of the glutamate and dopamine systems. The diverse pattern of interactions observed may have implications for psychiatric and addictive disorders. The partial overlap of the psychotogenic effects of ketamine and amphetamine, their additive effects on thought disorder, and their lack of interactive effects on negative symptoms are consistent with the hypothesis that the neurobiologic features of each symptom cluster associated with schizophrenia are complex and distinct and may require novel pharmacotherapeutic approaches. This study also supports the evaluation of D1-agonists for treating working memory impairments associated with schizophrenia. Correspondence: John H. Krystal, MD, Schizophrenia Biological Research Center (116-A), VA Connecticut Healthcare System, 950 Campbell Ave, West Haven, CT 06516 (john.krystal@yale.edu). Submitted for Publication: October 14, 2004; final revision received March 8, 2005; accepted March 18, 2005. Funding/Support: This study was supported by an Independent Investigator Award Grant from the National Alliance for Research on Schizophrenia and Depression, Great Neck, NY; grant P50 MH068789-01 from the National Institute of Mental Health, Bethesda, Md; grants P50 AA-12870-03 and K05 AA014906-01 from the National Institute on Alcohol Abuse and Alcoholism, Bethesda; the Department of Veterans Affairs (Schizophrenia Biological Research Center, Alcohol Research Center), West Haven, Conn; and grant MO1-RR00125 from the General Clinical Research Center, New Haven, Conn. Acknowledgment: We thank Angelina Genovese, RN, and the nursing staff of the Biological Studies Unit of the VA Connecticut Healthcare System for their expert clinical contributions to this project; Karyn Casselo for her expert clinical research contributions to this project; Lia Donahue for her expert data management and graphical assistance; and Shan Xie, PhD, and R. F. Suckow, PhD, for their performance of the amphetamine and ketamine assays, respectively.